When was the last time you wrote out a note to someone? Not a Post-it or memo, but a bona fide letter that conveyed a wish or greeting in full sentences, sans the convenient acronyms and multi-coloured emoticons that pepper our messages and e-mails. Today, our written communication is largely dependent on, and restricted to, e-mails, text messages and social media interactions. Through these means, we have managed to shrink the time lapsed between sending and receiving messages to a few seconds (minutes if the WiFi or network are faulty). coloured thick paper; they were works of art, and were some of the finest mediums for capturing history, culture and human emotion. In fact, one may even say that postcards were in the 20th century what the Internet has become to us today. “As modern forms of communication become even more visual, they may resonate with audiences who see things through pictures more than through words. At the same time, while handwriting is vanishing, they do remind us of the unique personal visual form of hand-written messages accompanying images,” says historian and author Omar Khan. 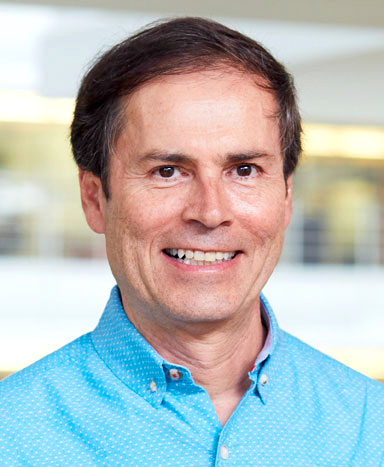 Omar Khan, a graduate of Dartmouth College, Columbia and Stanford Universities, has been personally interested in early photography of the subcontinent. The author of From Kashmir to Kabul: The Photographs of John Burke and William Baker 1860-1900 (2002), he has acquired a large collection of vintage postcards over 30 years. The desire to bring to the fore the rich legacy of postcards, in specific, Indian postcards, and his own longstanding interest in the works of prominent artists whose works have been featured in many of them, were some of the key factors that spurred Omar’s work in this area, which has come together as Paper Jewels: Postcards from the Raj. India. The Singer Manufacturing Co., 1892(?). Lithograph, Undivided back, 13.5 x 9 cm, 5.31 x 3.54 in. 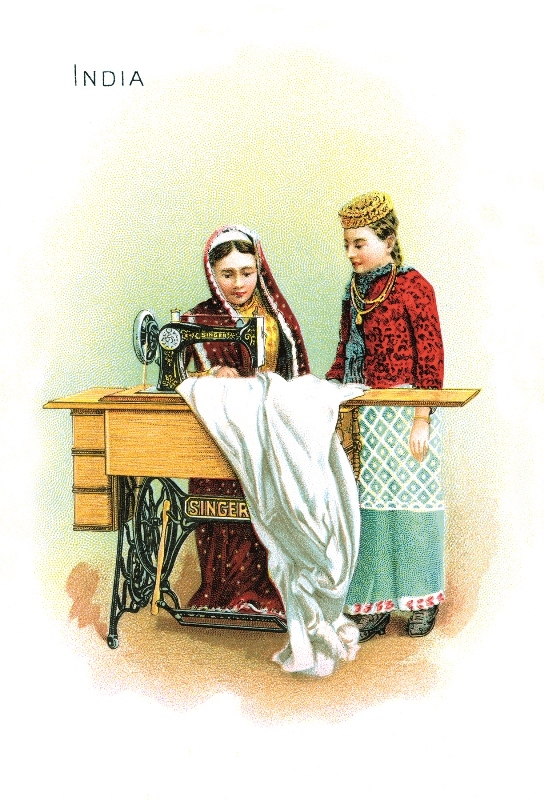 One such is of a woman sewing a white tunic while her daughter watches on. 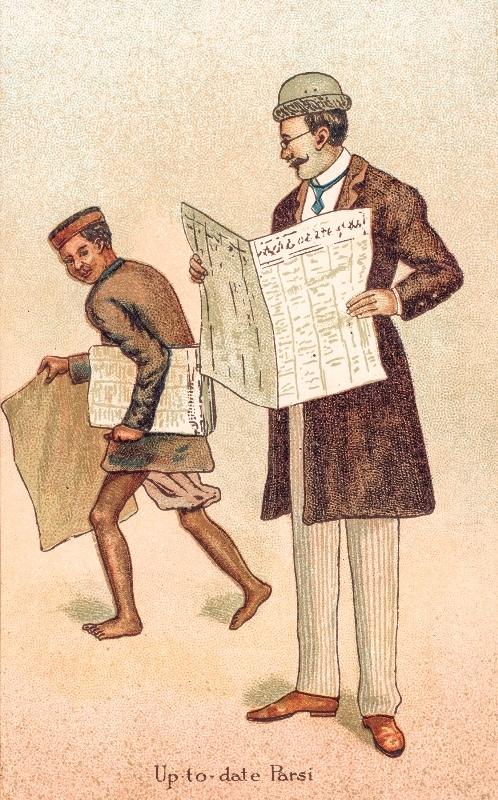 Interestingly, that card was printed by The Singer Manufacturing Co. in 1892; and while the purpose was to communicate, in a pictorial manner, the culture of Indians, it also seems to have been a blatant, and ingenious, attempt at branding and marketing. There are postcards of a man sweeping the streets, carrying water in a leather bag, or riding a bullock cart – scenes from regular life that are close to the present day but distinguished by the detailing of their clothing, gait and surrounds. There is a stunning painting of two women dressed in finery, titled ‘Bombay Beauties’, from 1905, which is said to depict famous nautch girls of the day, an enduring link to a unique aspect of yesteryear India. These postcards were probably one of the most powerful tools in creating impressions of lands heard of but never seen. They stand as testimony to the importance of art and words when attempting to communicate the essence of entire cultures within the space of a few inches. The importance of conserving the legacy of these postcards for posterity cannot be undermined. However, it is unfortunate that interest in collecting and preserving postcards has rested largely with individuals, who may not often have sufficient resources to source, organise and store postcards. It is there that Omar points out the need for corporates and museums to step in. A Group of School Girls. 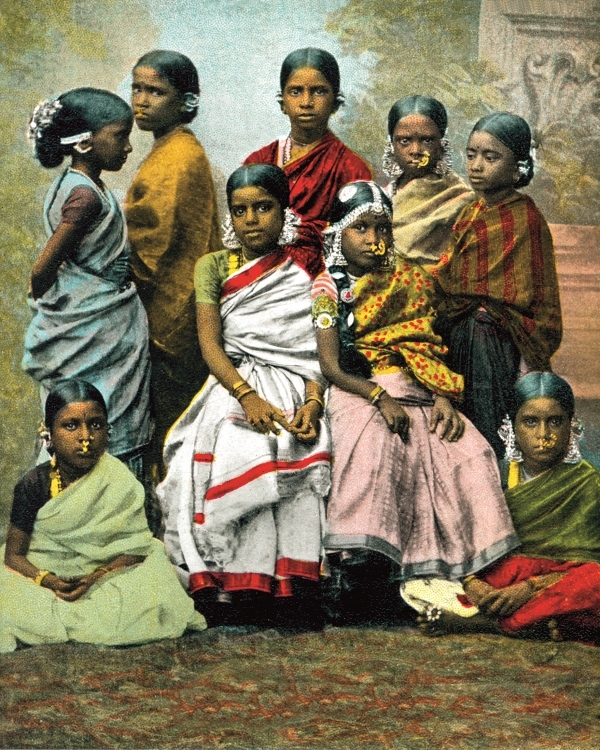 Spencer & Co., Madras, c. 1902. Coloured collotype, Undivided back, 13.75 x 8.75 cm, 5.49 x 3.52 in. One does hope that Omar’s optimism has reason to stay strong. 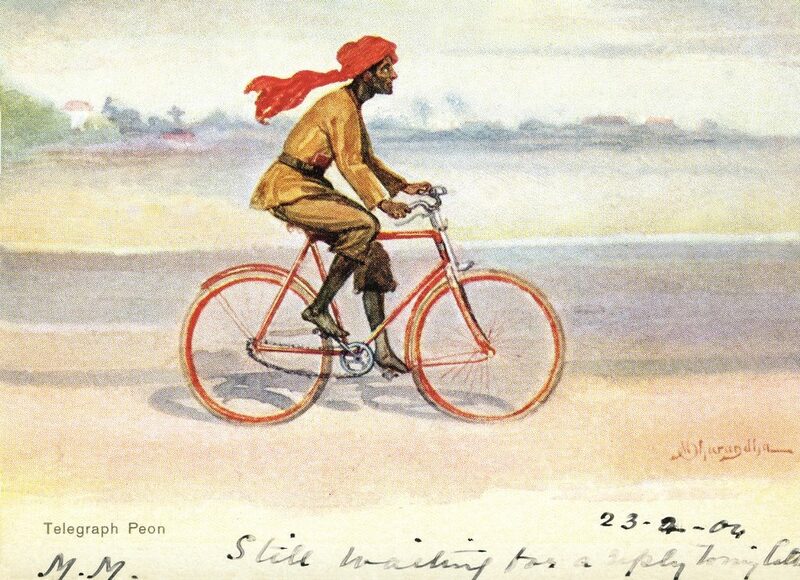 As he says, “Postcards allow us to see what people a hundred or more years ago considered important, how they represented themselves to each other and others around the world. As an early form of mass communication, they are a priceless window into history.” If we close off this window, we would be that much poorer indeed. 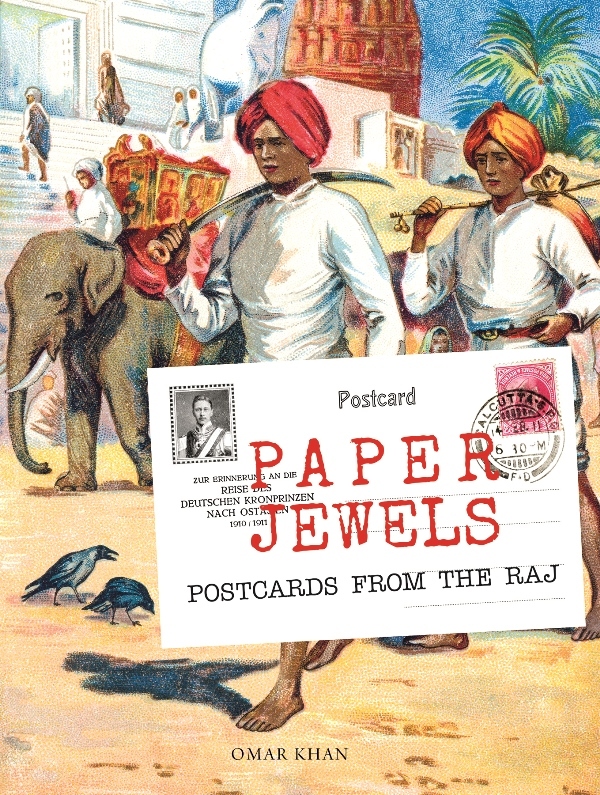 Paper Jewels: Postcards from the Raj will be launched on August 18 at the Dr. Bhau Daji Lad Museum in Mumbai. Exhibitions will be held in Mumbai (August 18 to October 1), Delhi (October 10 to November 10) and Goa (at the Serendipity Arts Festival in December). An exhibition will be held at The Folly at Amethyst, Chennai, on August 30. The book, which includes 519 colour illustration across 364 pages, will be available exclusively online in India from August 15, and in bookstores from September 5 onwards. The book is priced at Rs. 3,500. All postcard images used in this article were reproduced with permission from Paper Jewels: Postcards from the Raj by Omar Khan, published by Mapin Publishing, Ahmedabad, in association with The Alkazi Collection of Photography, New Delhi.